The colour improvisation of the skin is one of the most controversial topics. The colour of the skin is generally linked to the ethnicity of the person. People try almost everything that can make their skin look glowing, fairer and wrinkle-free. People try various treatments for their skin from unprofessional doctors claiming to be experts, which eventually results in bad condition of the skin. The process of skin lightening, whitening and bleaching is a method which people use to lighten the complexion of their skin tone with the help of chemicals and creams. Through this method reduces the concentration of melanin due to which the skin becomes even coloured. There are many people in Mumbai who claim to be the best for skin whitening treatment in Mumbai, but unless and until the customer is not sure about them, they should not consider them for the treatment. Our skin colour is determined by the amount of melanin present in our skin. Melanocytes are the production factory of melanin. The people who have dark complexion have more melanin. The amount of melanin in the skin depends upon the genetic factors of the individual. Few features of damaged skin, hormones, sunlight exposure and exposure to chemicals also affect the melanin production in the skin. Dr.Rinky Kapoor is one of the best dermatologists and cosmetologists in Mumbai who has won many awards at the national level for her credible work. She is considered the best for skin whitening treatment in Mumbai. She has treated various celebrities and famous personalities for the same treatment. 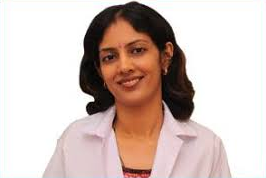 She has immense knowledge in the field of skin whitening. People can prefer her over any other dermatologist because she has an experience that will let you rest assured that you are in the best hands. Under the treatment, action is performed on the melanocytes which are the production factory of melanin, the pigment that gives colour to our skin. People who are tired of using different chemicals and various creams to get rid of the pigmentation and discoloration of the skin then the Esthetic Clinic at Mumbai is the place for them to be. The experts at the Esthetic Clinic provide the best treatment and comfort to the customer. Having a perfect glowing and even-toned skin has been converted into a reality by the professional and the best dermatologist Dr. Rinky Kapoor in Mumbai. The skin bleaching treatment, lightening whiteners, and whitening fading creams are some of the skin whitening treatment in Mumbai. The lightening treatments lessen the melanin amount in the skin, resulting in the fairer complexion of the person. So if you want a better-looking skin and are searching for an expert who can be trusted and relied upon, now you know who the best is for you.